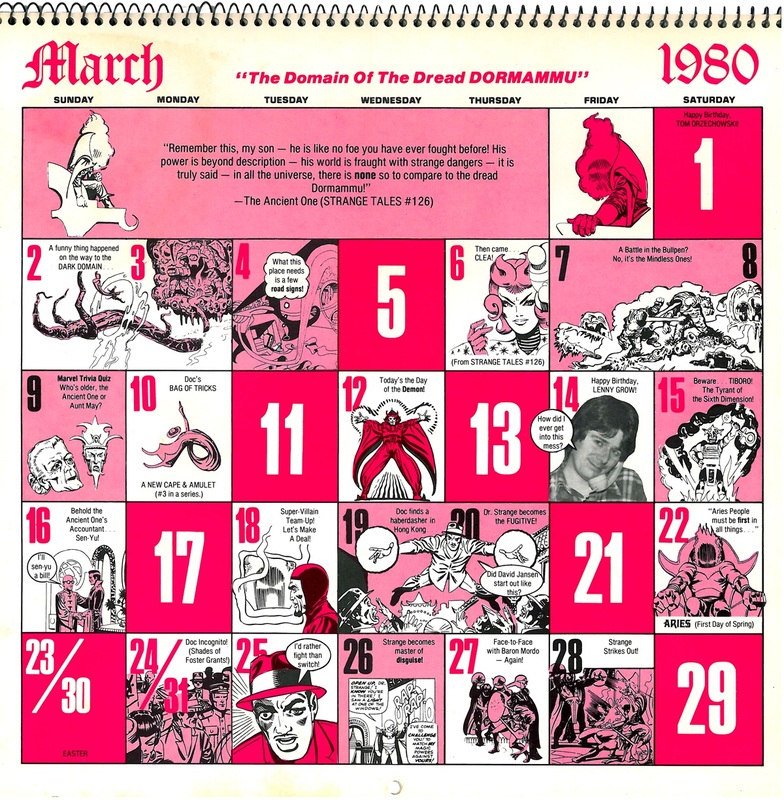 The calendar cover art is by Dave Cockrum and Tom Palmer. 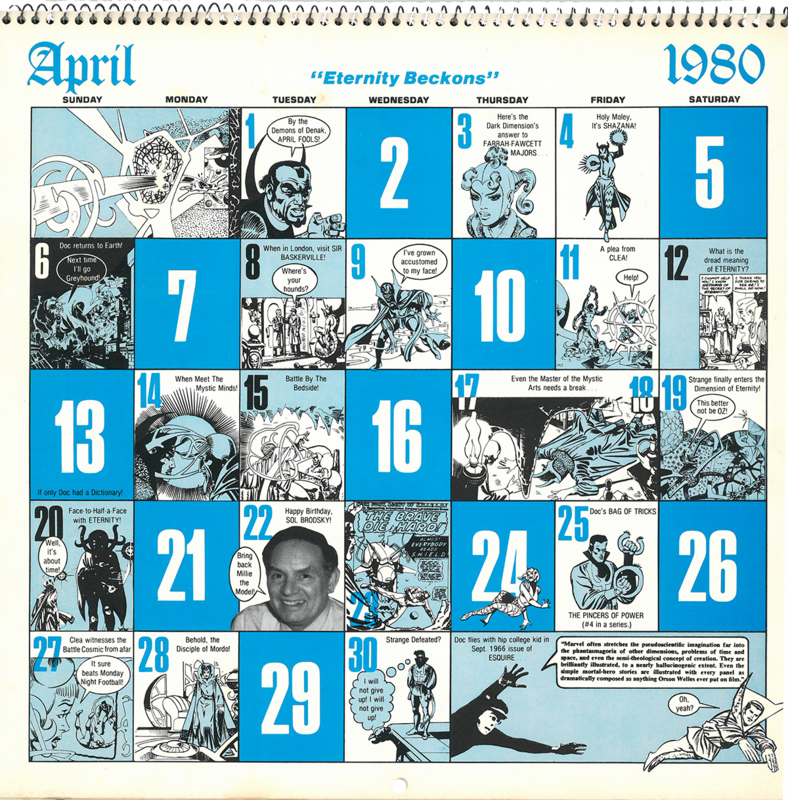 The second illustration, from the month of April, is by Gene Colan and Tom Palmer. 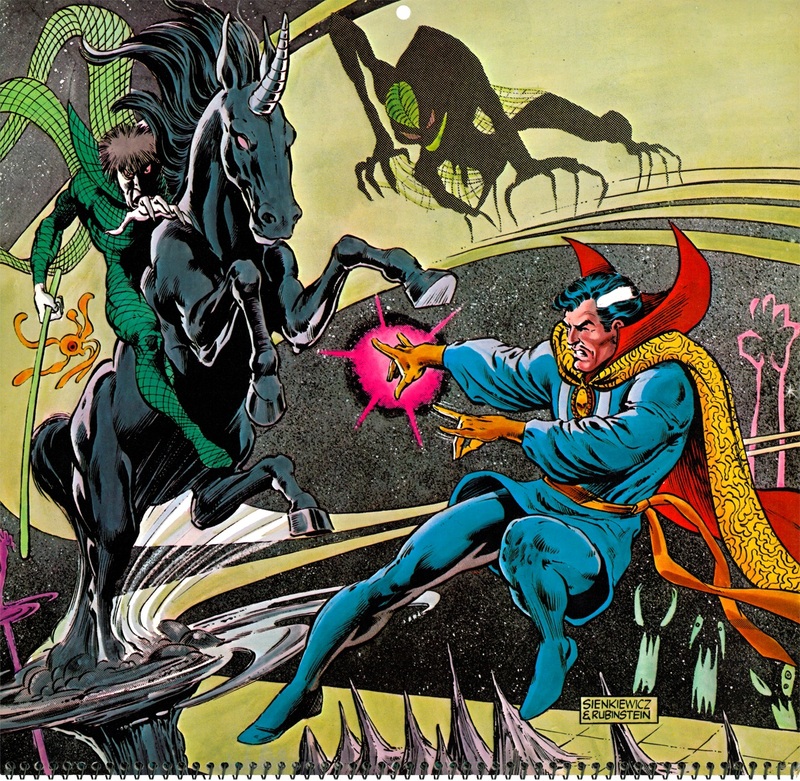 Colan had an amazing run on Doctor Strange (vol. 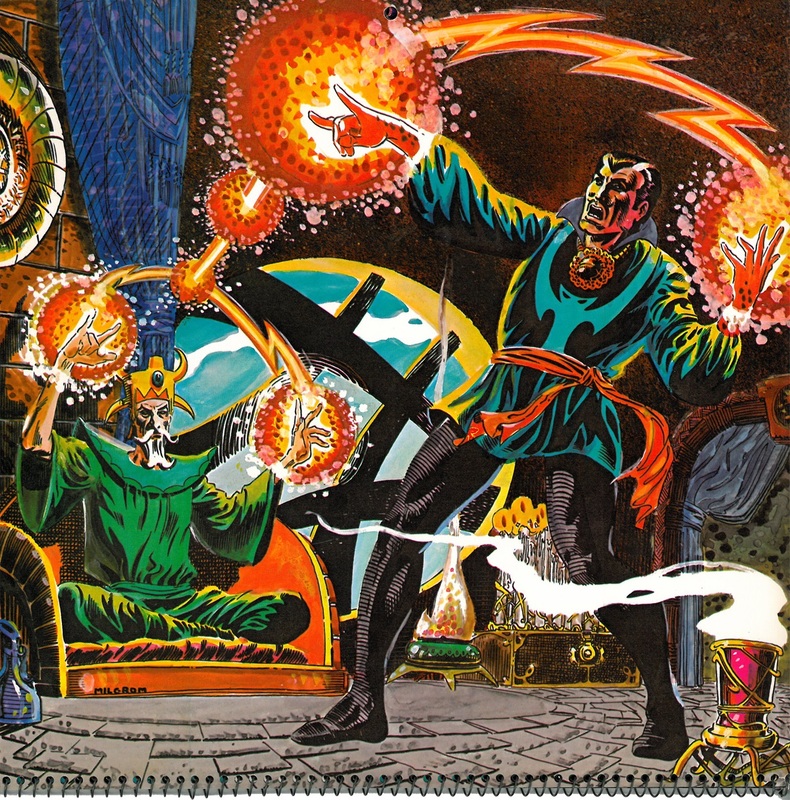 2) with writer Steve Englehart. 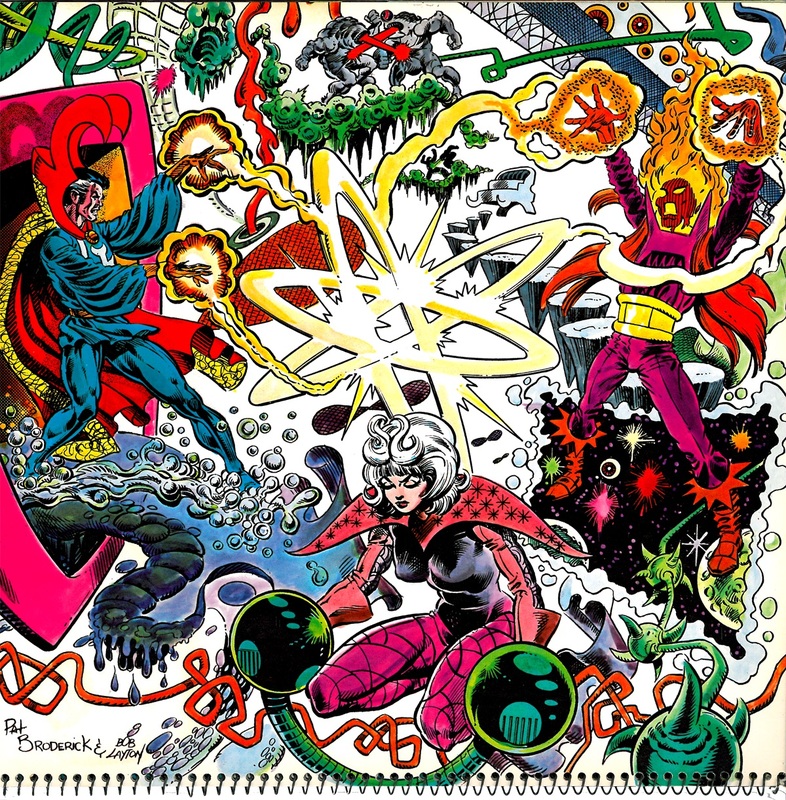 That was my introduction to Marvel’s trippiest character, and I still remember those books. 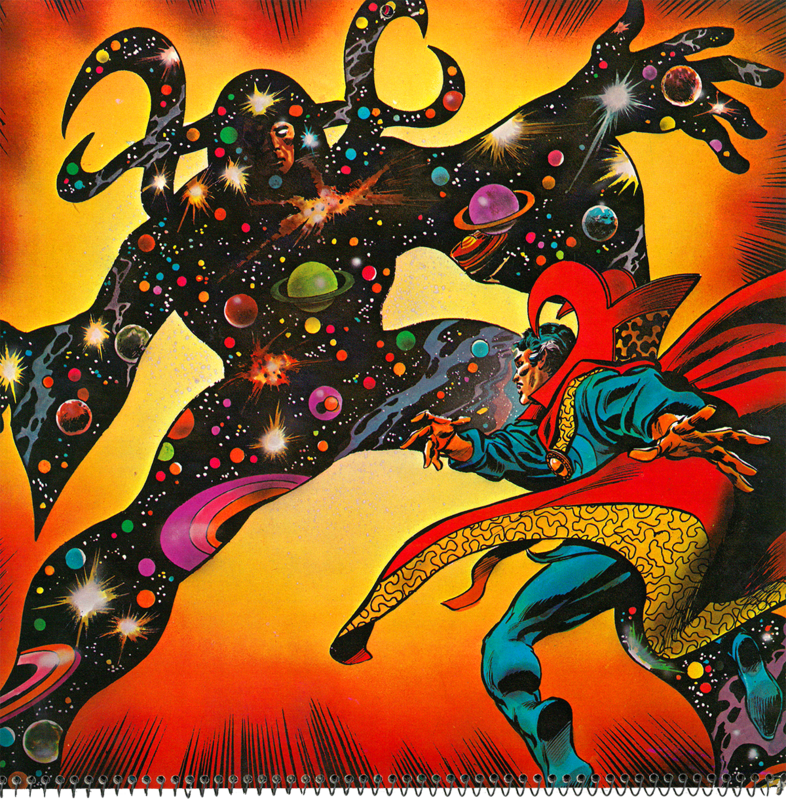 This is about the time I was really getting into comics. 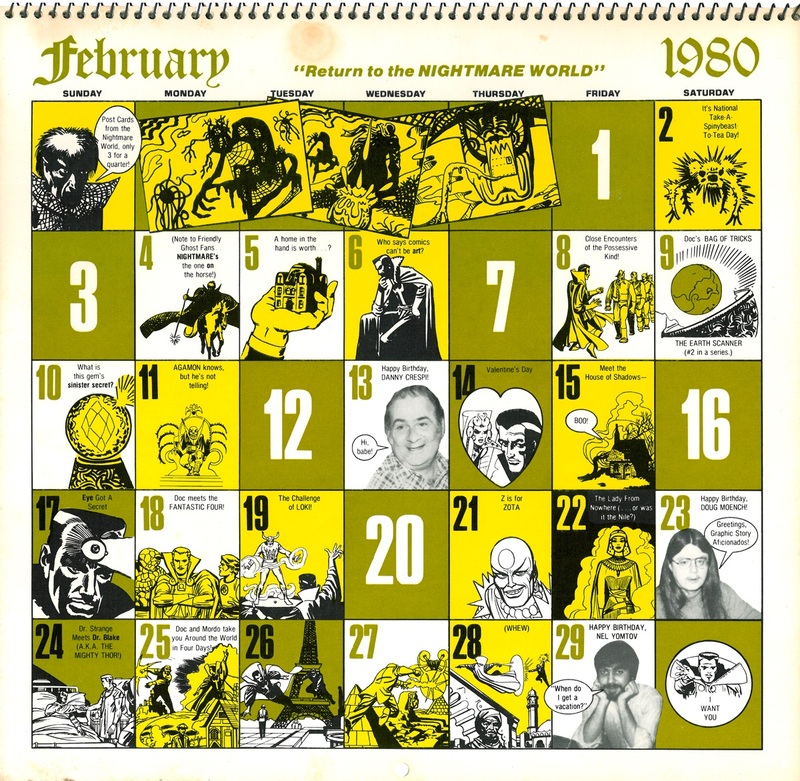 I wasn’t full-on collecting yet, but reading as many as I could get and trading them back and forth at school. 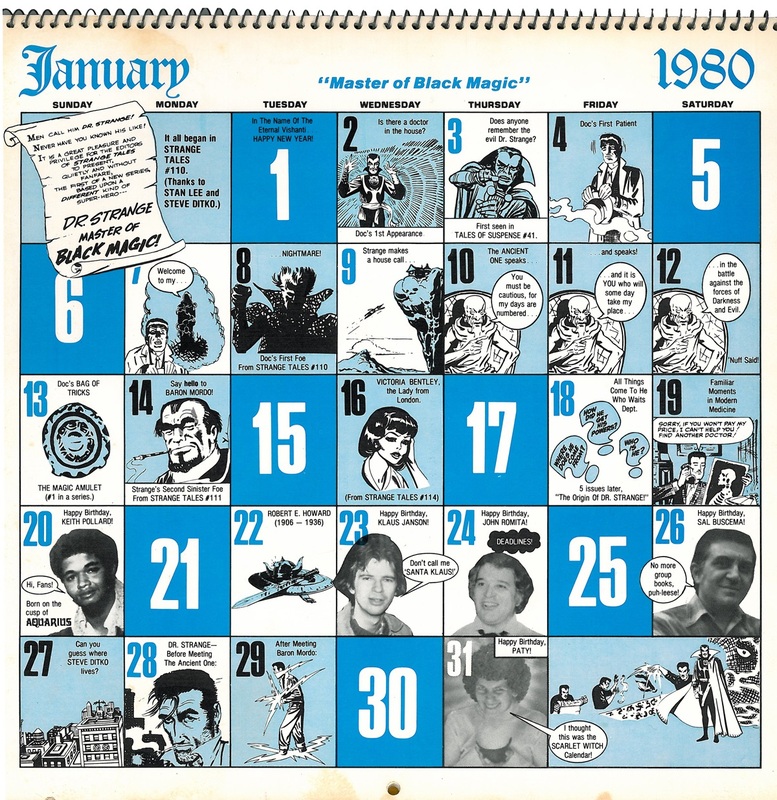 I saw the calendar originally at The Marvel Project. 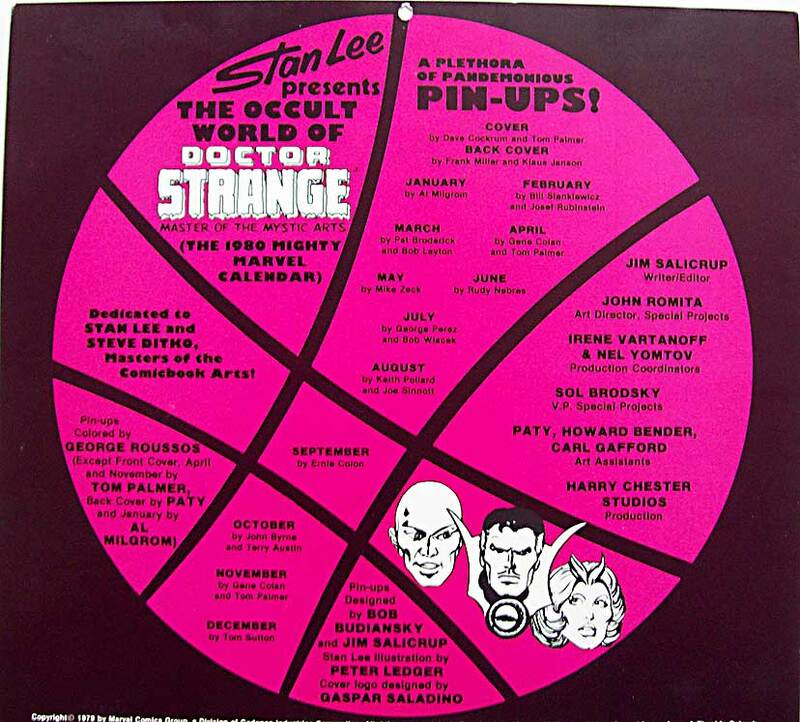 See the whole thing at Sanctum Sanctorum Comix, a Doc Strange fan site. That is the most awesome thing I’ve seen all day. If I owned that I’d still have it hanging on the wall. Totally. 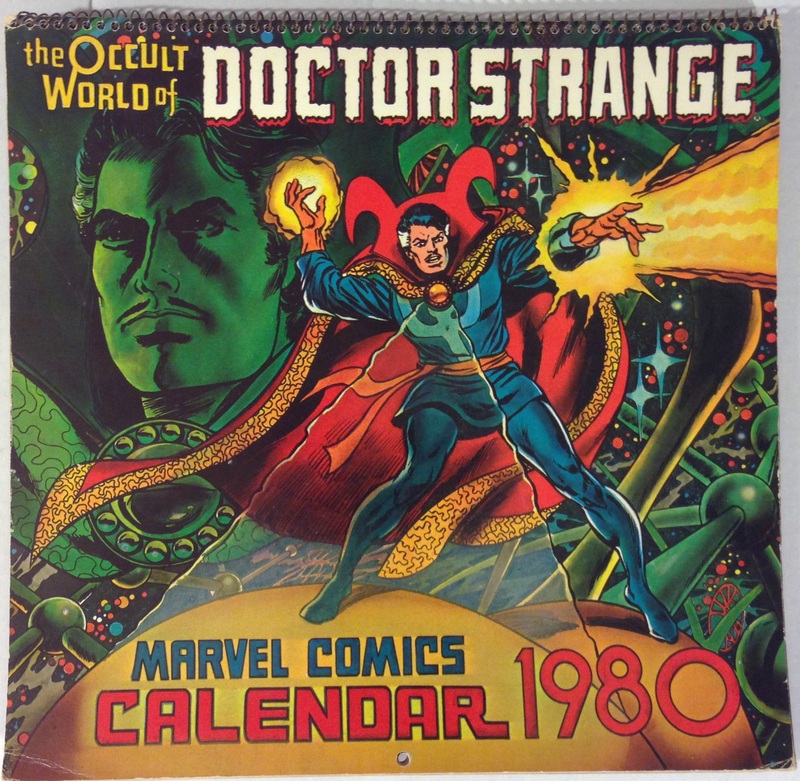 Not only would I hang it on my wall, I’d pretend it was 1980. That is fricken awesome! I just started my comic book collection (batwoman) but now I am additcted..thank you ebay!